You have TWO WEEKS to play along - Deadline to enter is Friday, April 19, 2019 at Midnight CST. The winners will be announced on the NND blog the following Monday. 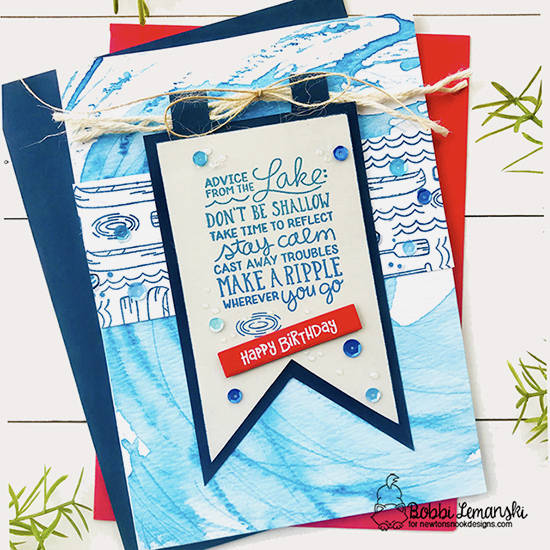 Bobbi Lemanski creates this fabulous card by creating a watery background on which she adds her vertical striped lake-themed paper. 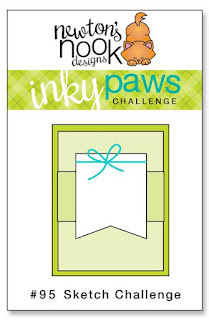 She creates her tag and adds a navy blue border. She runs rope through the little tabs at the top and adds a bit of jute. She stamps the poem from the Lake Advice stamp set. She embosses the birthday sentiment from the Cocktail Mixer stamp set in white on a red strip. A sprinkling of blue sequins completes the card wonderfully. Debbie Owens creates a rustic-like card by creating the background using the Tree Rings stencil and die cut using the Framework die set. Instead of a vertical strip, she layers leaves using the Flower Trio die set before adding the center tag which she distresses the edges using brown ink. 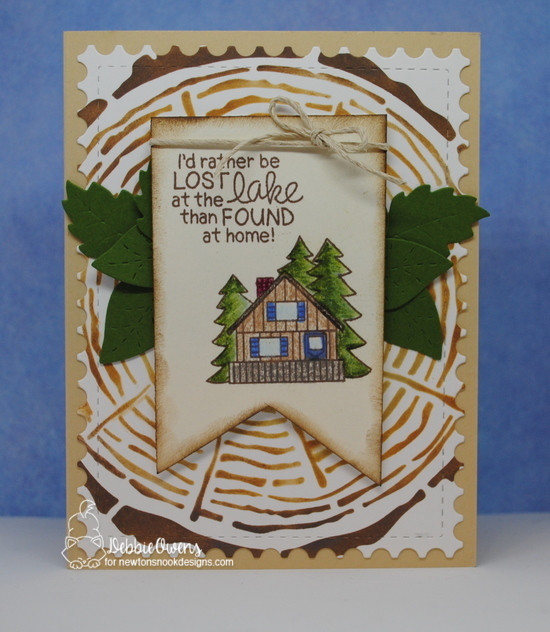 She adds the sentiment and cabin using the Winston's Lake House stamp set. She adds a neutral twine and bow to finish it off. Diane Morales creates this soft, sweet card which features one of the mice images from the Garden Mice stamp and die set. She creates her card base by cutting the Framework die set. She then cuts another layer using the Flags & Frames die set from this pretty floral paper. For her white tag, she adds texture using the Bold Blooms stencil. She adds her sentiment (Garden Mice) on a white tag and hangs it on with a yellow and white twine. Super sweet! 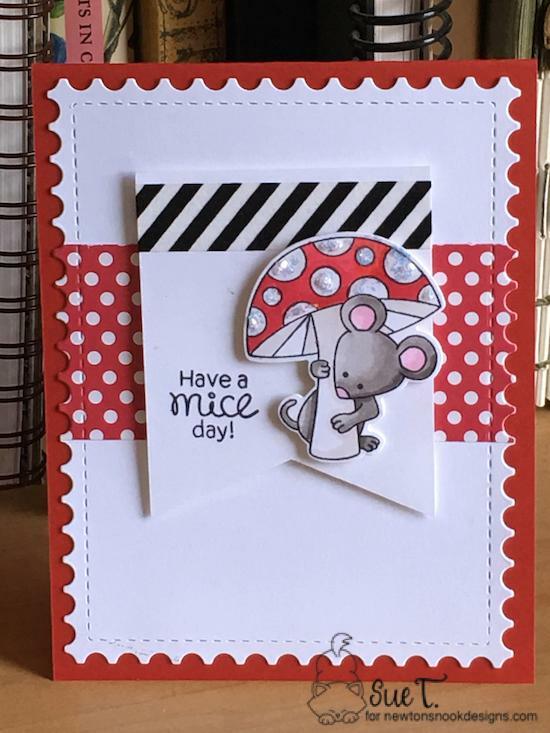 Sue T. creates this bright, bold card by coordinating the red polka dotted paper with the spots on the mushroom! She cuts her base using the Framework die set and adds her pattern paper. For her center tag, she adds the sentiment and this sweet mouse from the Garden Mice stamp and die set. 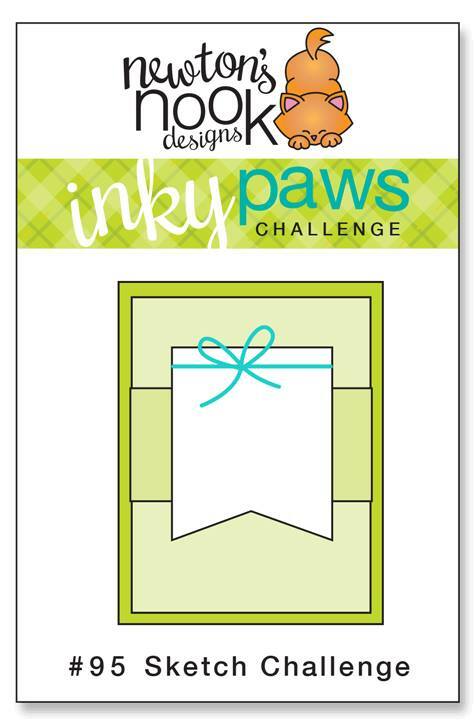 To finish her card, she tops the tag with a white and black striped washi tape. Too cute! Becky Noelle creates this stunning card by using texture paste on the Bold Blooms stencil set. She then carefully colored in the flowers on top of the textured paste! Just amazing! She then added a vellum striped layer. 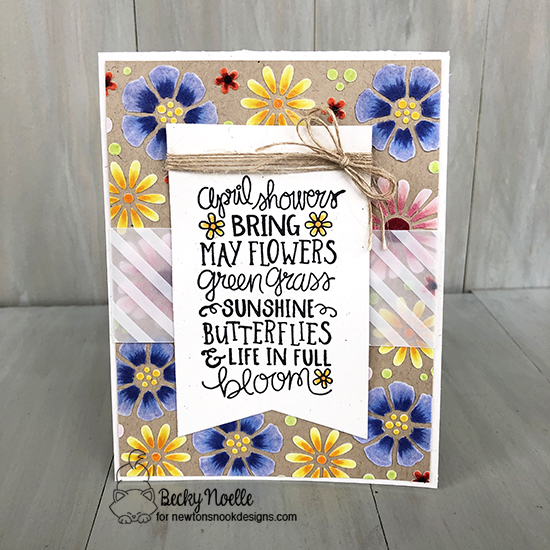 For her center banner she stamps the sentiment from the April Showers stamp set. She winds jute twine several times and adds a bow to finish it off.